California Baptist University’s Reserve Officers’ Training Corps (ROTC) cadets trained at Marine Corps Base Camp Pendleton near San Diego Nov. 16-18 to learn basic squad movement and techniques in simulated combat. 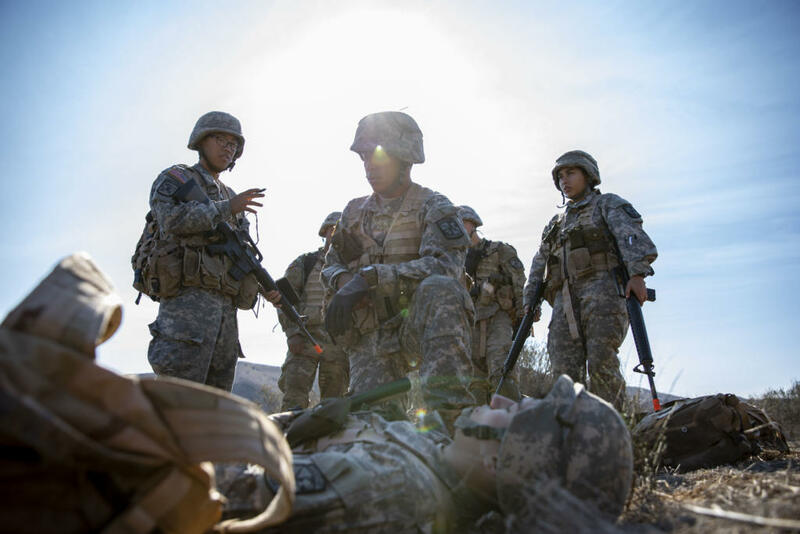 The purpose of simulated combat, also known as field training exercises (FTX), is to prepare ROTC cadets to be competent second lieutenants in the Army and give them a ground up perspective of what it is like to practice leadership at various levels. The training is set up in scenarios called situational training exercises (STX). There were eight situational training exercise lanes where each simulated exercise provided different types of missions. Some missions were simulated combat focused, while others were focused on avoiding combat and more on gathering intelligence and recon. Each lane has a cadre, or an officer, and cadet instructors who evaluate the cadet leadership’s performance on their lane. 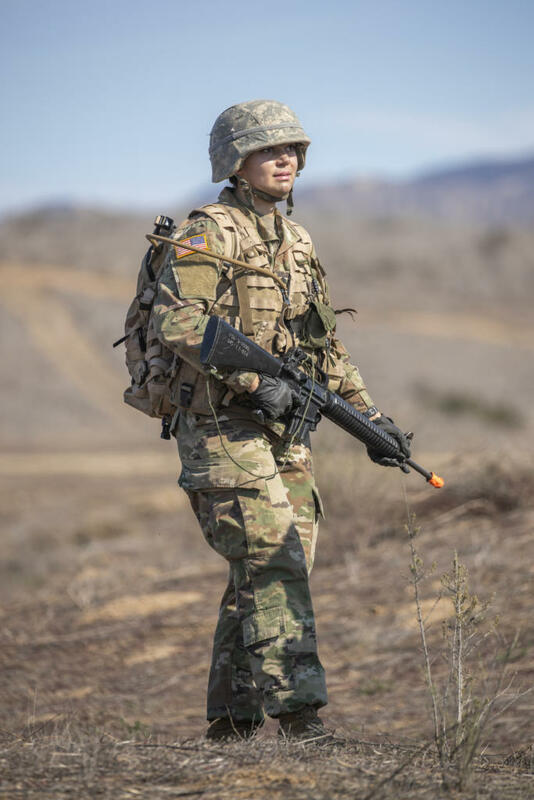 The cadets and their opponents are armed with rubber rifles and they “eliminate” each other by shouting “bang.” The cadets wear Army combat helmets and other standard issue gear to give them a taste of what it will be like to be a soldier in combat. 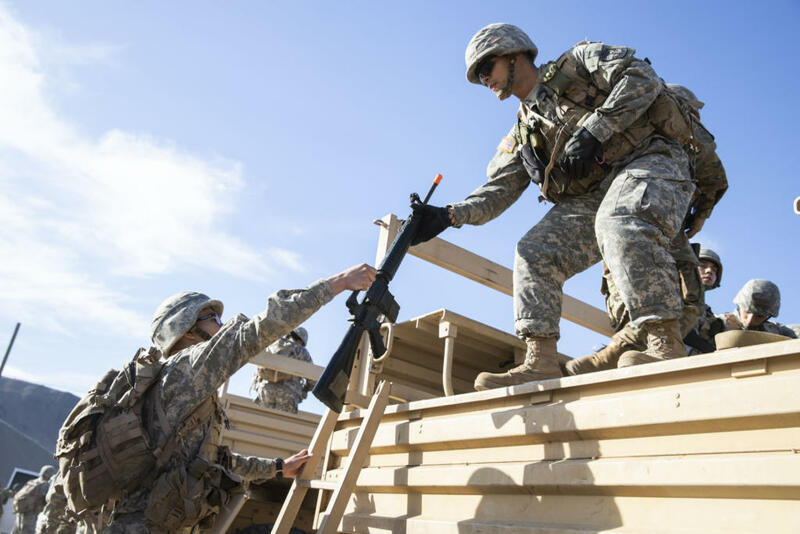 The first year ROTC cadets, MSIs, serve as basic grunts and are riflemen in the squad. They learn by observation and also get experience of what it is like to be a squad team member. The second year ROTC cadets, MSIIs, primarily served as team leaders in charge of four other cadets. MSIIIs take on multiple leadership roles, including leading the entire unit through the STX lane. MSIVs help observe lanes, work at the command post with logistics or serve as the Opposition Force (OPFOR) to cadets. The whole point of this exercise is to teach the cadets lessons in leadership through stressful situations such as simulated combat. Each cadet gained a valuable lesson from the training. For MSII Ryan Beck, sophomore flight and aviation major, the main takeaway from the training is to give the right person the job. MSIII Lauren-Elizabeth Buffa, junior biology pre-med major, said she learned how to have a more positive command style and how to better organize those under her. MSIV Morgan Mejia, senior communications major, said it was good to see how much he had grown since his first year as a cadet and be able to help cadets with less experience grow the same way he did. Not every cadet will be an infantry officer. Some might have other roles, such as ordinance, supply or more. However, every soldier going into the Army learns infantry tactics as part of the training process. 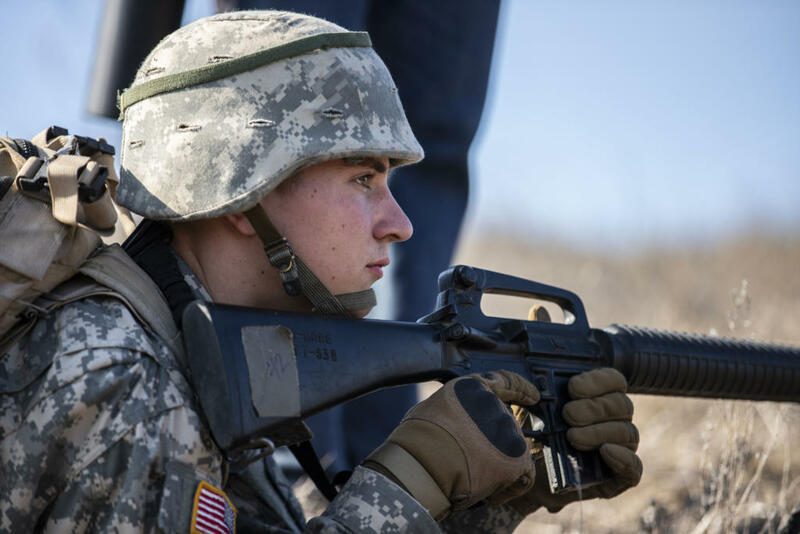 The weekend of FTX training helped immerse these cadets in this most basic Army role: infantry.